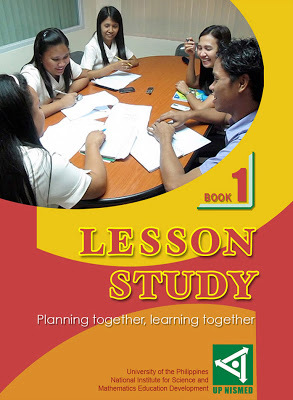 To all my readers from the Philippines, our new book on Lesson Study is now off the press. The book is titled Lesson Study: Planning Together, Learning Together. It is a documentation of the actual experiences of teachers and students in mathematics and science classes as well as learning that arise while doing Lesson Study. It was published by the the University of the Philippines National Institute for Science and Mathematics Education Development (UP NISMED). The book is 258 pages and costs Php300.00. You can buy it at the UP NISMED Bookstore in the University of the Philippines, Diliman. Before, I discuss the misconceptions, let us recall the definition of rational numbers. A rational number is a number that can represented by the fraction where and are integers and not equal to 0. From this definition and other previously learned concepts, let us examine the following misconceptions about rational numbers. Misconception 1 : Zero is not a rational number. Two weeks ago, I shared to you about A Mathematician’s Lament, an essay by Paul Lockhart about the mishaps of teaching in K-12 Mathematics. In this post, I’m going to share to you about an open letter to new teachers, a great piece written by Sam Shah in his blog, that discusses teaching tips. I think it’s a must read for new teachers, especially math teachers.